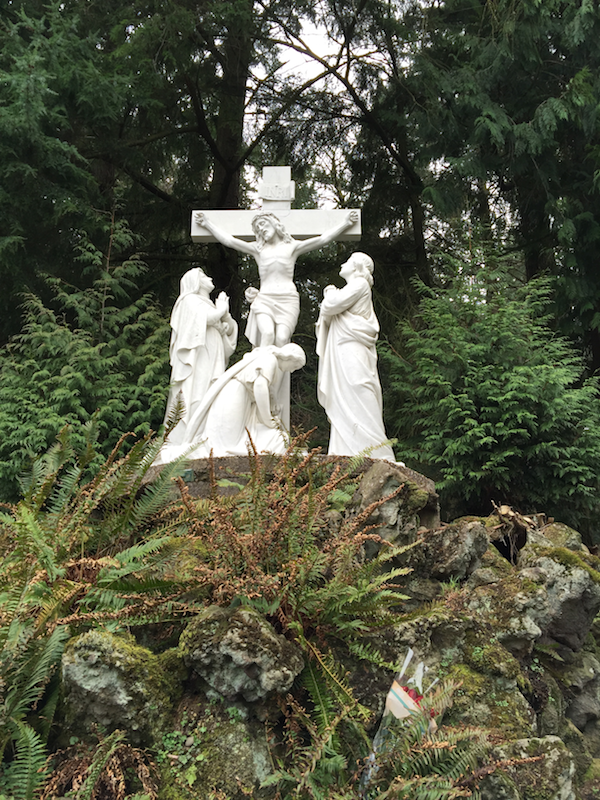 At the end of our walking tour of Sandy Boulevard in Portland, Oregon, my wife and I arrived at The Grotto. 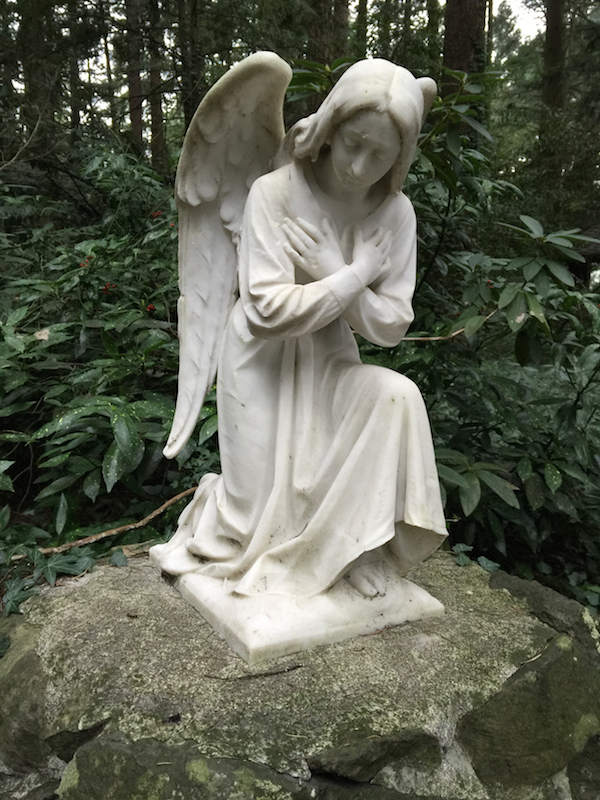 The Grotto is a church, and a nature sanctuary where you can walk along secluded forest paths as you gaze upon religious relics and inspirational statues. 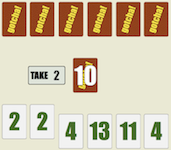 Read my full review with pictures of The Grotto after the break. 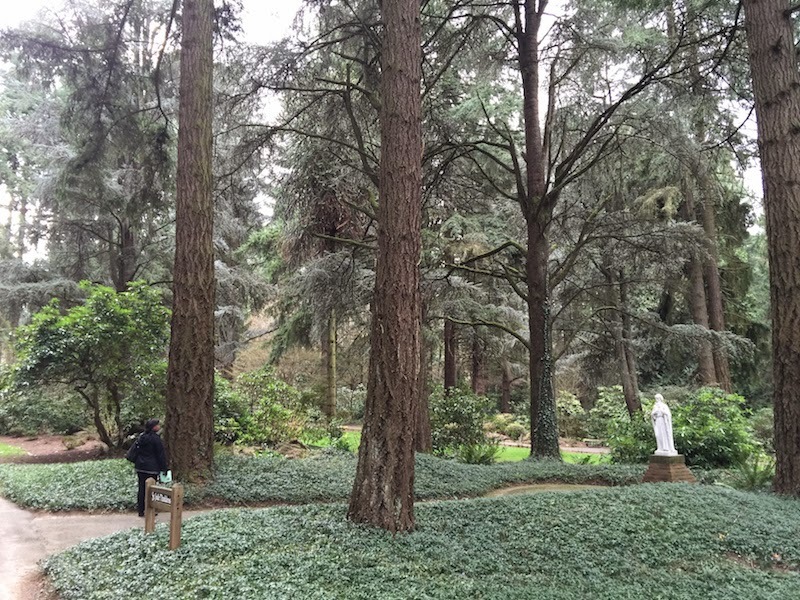 Google Maps describes The Grotto as a "peaceful Catholic shrine and garden." Which is true, although that doesn't really capture the spiritual impact of The Grotto. A person of any religion or religious belief will enjoy a walk through the tranquil and inspiring wooded paths of The Grotto. There is ample parking at The Grotto, although we arrived on foot. The Grotto has a large visitor center with books, candles, and many other items of Catholic importance. Purchase your ticket to the elevator (which is a very modest cost) and take the 110 foot rise to the upper level. The upper level of The Grotto is simply one of the most inspirational places I have ever been. (And I've been all through The Vatican, St. Francis's church as Assisi in Italy, the California Missions, and many other spectacular churches.) 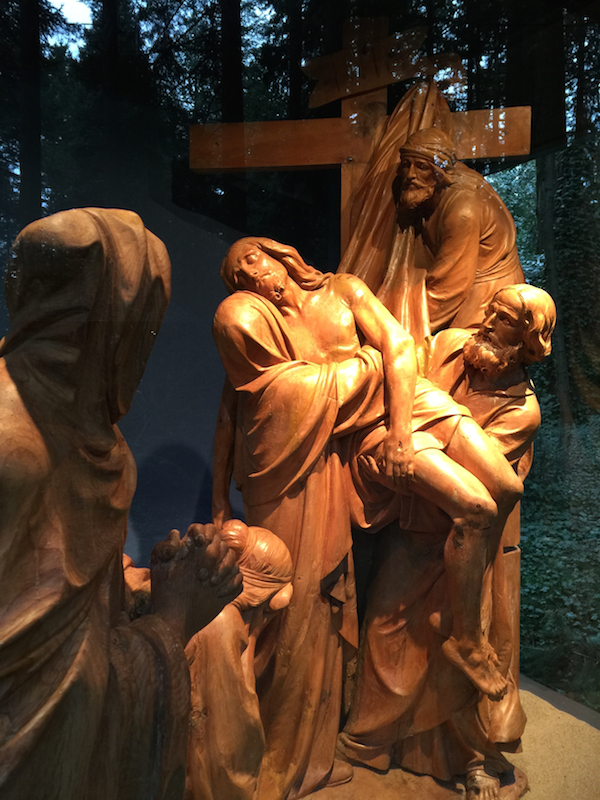 It is a collection of statues, dioramas, and gardens depicting people and verses from the Bible. The walking paths of The Grotto are very tranquil, with gurgling streams and chirping birds providing a sonic background to your thoughts. 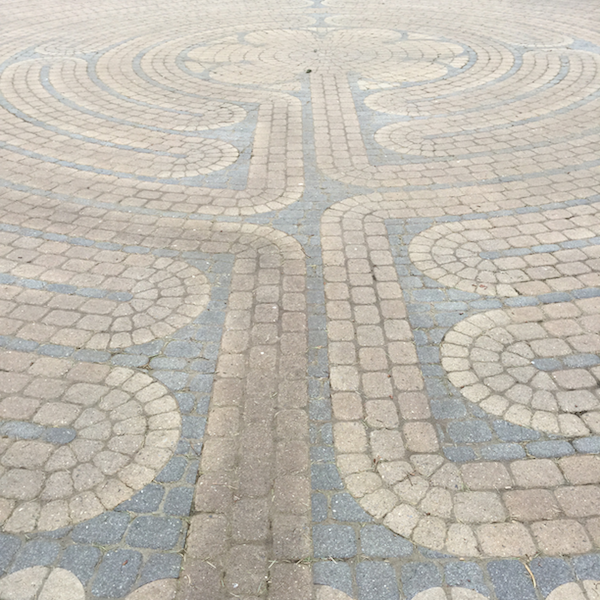 One of the special moments at The Grotto was my walk along the labyrinth. 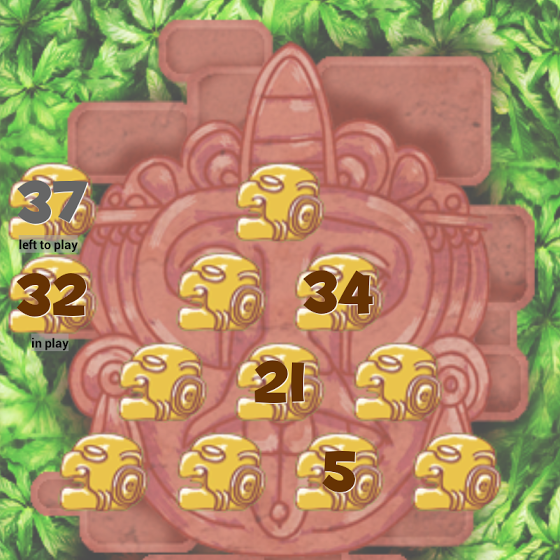 This is based on the the medieval labyrinth as seen at Chartres Cathedral in France. We spent about two hours walking through The Grotto, although you could easily spend much longer. For more information about The National Sanctuary of Our Sorrowful Mother (The Grotto), including weddings and the Christmas Festival of Lights, visit the web site. Be sure to take a moment to visit my other blog with daily Bible verses and Bible places. 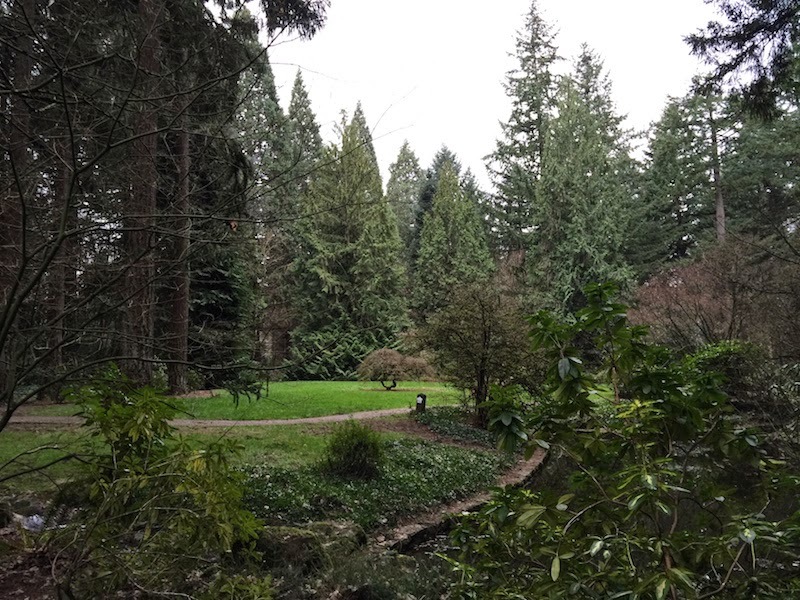 If you go to The Grotto, take some time to walk down Sandy Boulevard and visit a few places from Portland's recent history. Here's my full post with pictures on walking Sandy Boulevard. 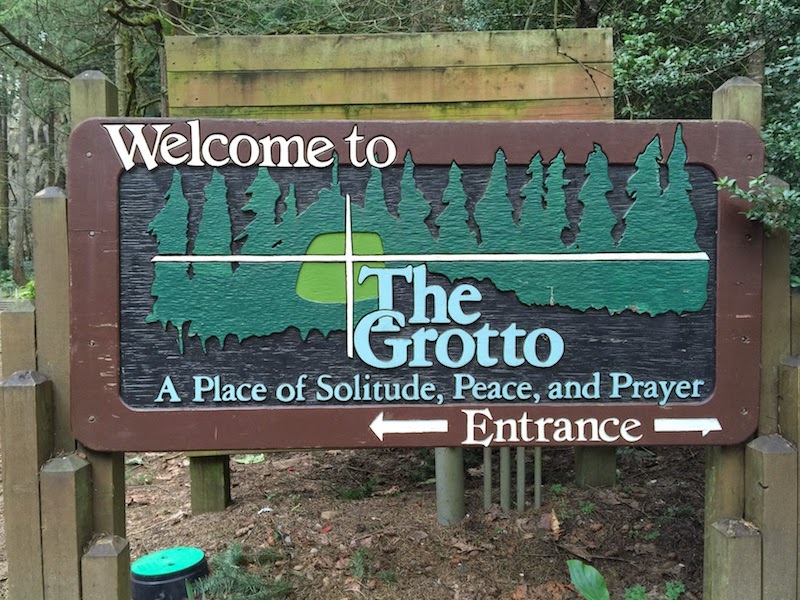 I found The Grotto as seen in Walking Portland, an excellent book with many historic and interesting walks in Portland.